Venturing forth into the unknown cloistered white island existed in Bohol, called Pandao Island together with my travel buddies. I never got wind about this Island before not until a good friend of mine unexpectedly suggested to visit Pandao Island. Pandao Island is located in Getafe, Bohol. 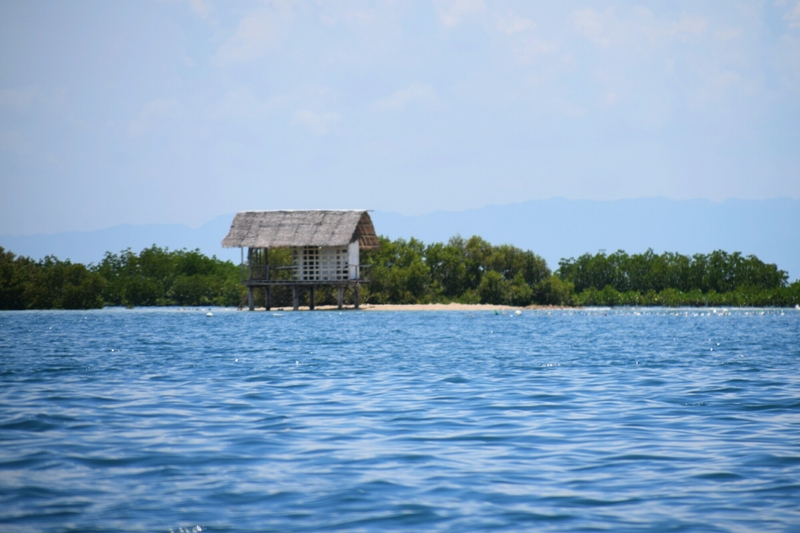 It has an estimated 20 min boat ride from the mainland of Baud, Getafe, Bohol. An island that speaks so much about innate beauty. This has been the only white Island I have visited that left me in deep reverence for nature. My weekend was bidden by my office mates Lilia Meraveles and her sister Jovie for their Father’s 60th birthday together with our other friends (Michelle, Melyn and Riza). I couldn’t repel their invitation since they have told me to visit Pandanon Island on the succeeding day after their father’s birthday celebration. It has long been penned on our bucket list to visit Pandanon Island since 2014 during our last sojourn to my office mates place. Simply due to unexpected circumstances we weren’t able to set foot on the said island. As we again plan to visit the Pandanon island for the second time round, it’s again not permitted by time due to the compelling suggestion of my office mate. While we were having our breakfast, and getting up to leave for our escapade to Pandanon Island, a sudden words uttered by my office mate, suggesting to visit the Pandao Island instead of Pandanon Island. Since, I’m a bit curious about the Pandao Island, I bombarded my office mate with a bunch of questions just to make certain that it will worth our visit. The perfect firmament above and the good weather made our trip amazing. A few meters away from the house of my office mate where the port of ingress to the secluded Pandao Island. I found out the long paved road as if floating on the sea water and the bare boats are scattering around. 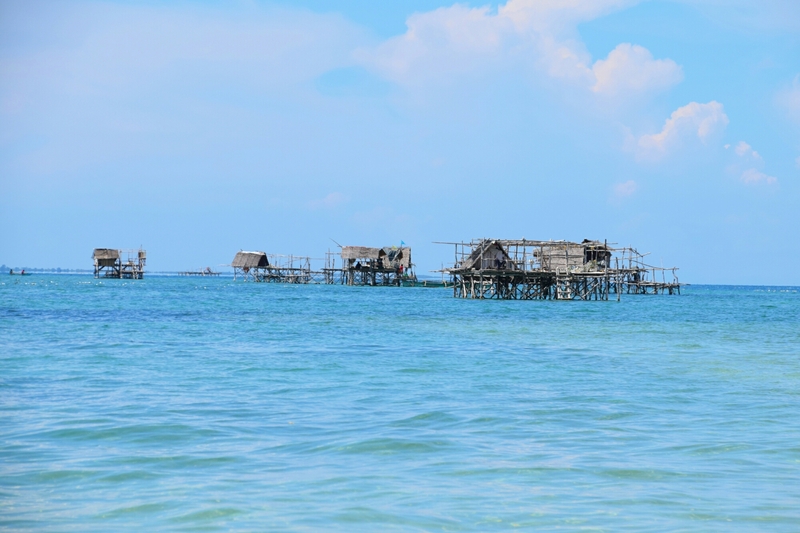 As we worked our way to the Pandao Island, I saw several floating humble huts that looks like floating houses from afar. Then I asked our boatman about those houses, he then told me what I have just seen was a rest house of people who is planting seaweeds in that area, during the harvest, it’s where they rest and also where they put down all their harvested seaweeds. After 20 minutes of enjoying the clinging heat of the sun and the sea breeze kissing our surface, we finally have set foot along the island. It was already high tide during our arrival, and the sandbar is slowly mislaying its beauty. A thought hovering above me saying we should have come earlier than 10 in the forenoon. 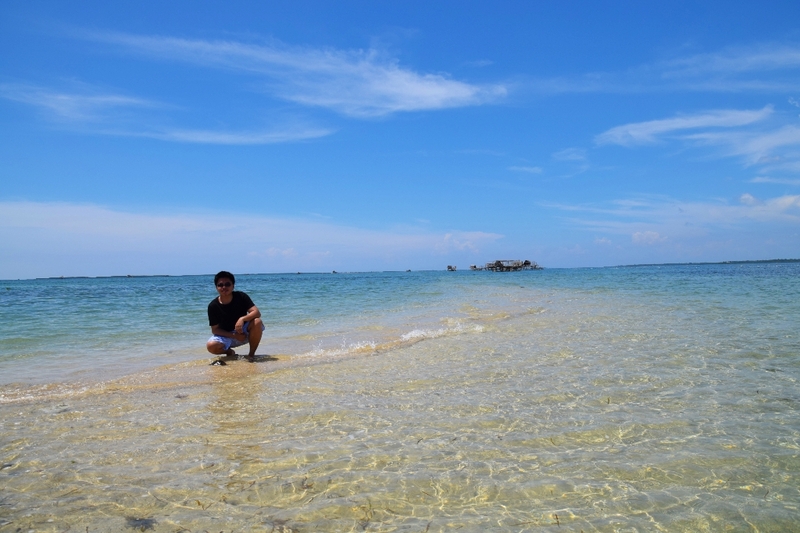 Though we were not lucky enough to witness the white sandbar, I am nevertheless satisfied with how the island existed. I was still seen in awe the moment I traipse my two little itchy feet with the light greenish blue water and pale color of the sand. The sand wasn’t really that white and fine, but what this cloistered island can promise to every visitor who would soon go down their foot here is the stunning view of an area of water and the mountains of Baud, Getafe Bohol that speaks so much of its innate beauty. I was enjoying seeing my travel buddies as a limpid prose of their smile is painting their face, calling me out to get pictures of them. I constantly caught myself loving the beach but swimming isn’t something I love, so instead of joining them, I was so busy capturing every moment. 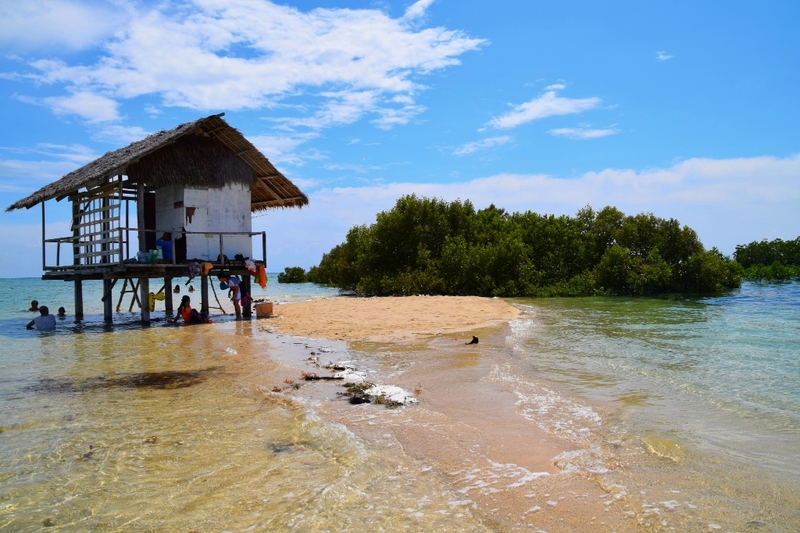 We held our lunch on the said island, there’s an abandoned humble hut strongly standing all by itself. A stairs provided so we could go up, then there’s a beautiful split bamboo slat floor to lay down all our foods and our things. We had our lunch while imagining ourselves dining at the floating restaurant. Isn’t it amazing and romantic? 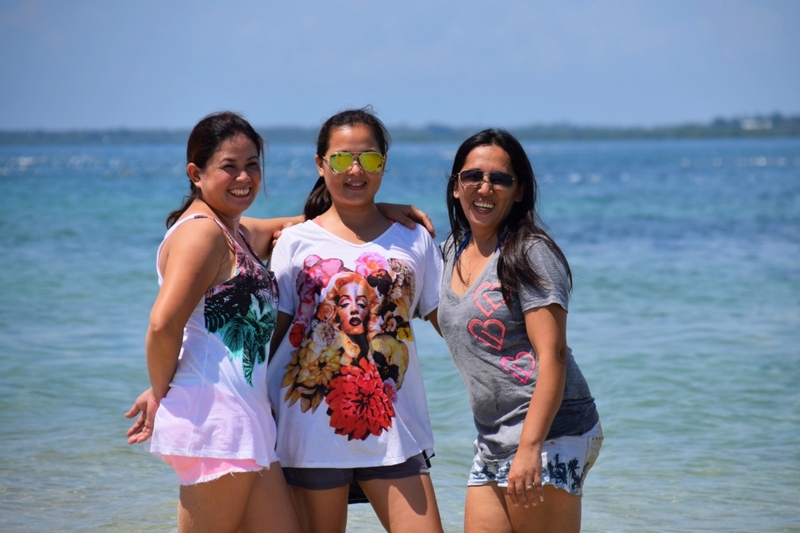 We continue on our bonding while planning to get back next time to see the sand bar. The clouds were united to form a dark sky, the brassy voice of thunder calls our attention and a flash of lightning follows. So we then fix our stuff, and time to leave the island so we won’t meet the heavy rain while working our way back to my office mates house. 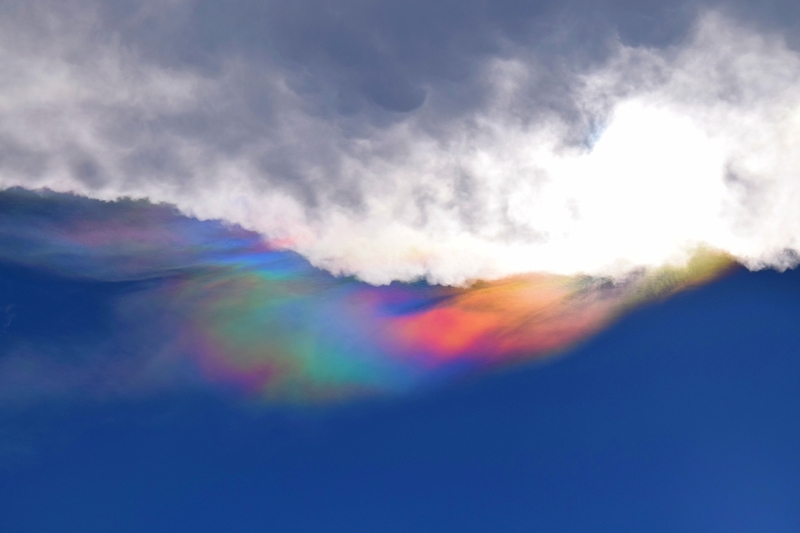 As we made our way, and almost hit the shore of Baud, I saw a beautiful clouds with a touch of colors on it. It was as if, I’m gazing at the beautiful painting executed in fresco. Then I began yelling at my friends and ask them to check, we all turned our heads up high and mesmerized at the stunning view of the sky. Everyone of us would likely have just witnessed such thing for the first time.Our day ended with such a jaw-dropping scenery that left us speechless. Special thanks to my office mates Lilia Meraveles, Jovie Meraveles and their family for taking charge of everything. From our accommodation and food and even the tour as well. Likely will be going back and this time it’ll be another fun filled day for us. Join us along our adventure next time. 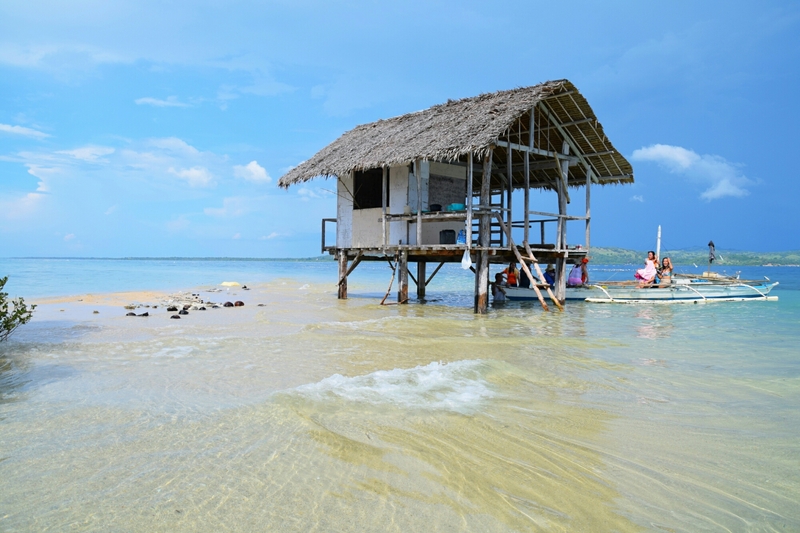 Travel to the island earlier than 9:00am, so you won’t miss the promising sand bar of Pandao Island. The island is secluded and not known to everyone, bring enough water and food. There’s no stores on the Pandao island. The island is very bare, no cottages and toilet, but you can stay overnight just make sure to bring with you your own camping tent, flashlight, jacket, and other necessary things. Please bring garbage bags to place all your collected garbage during your visit and bring them to the mainland of Baud. Please be responsible enough. The entry point is in Getafe, Bohol. The moment you arrived at the Seaport, ride a tricycle going to Brgy. Baud, ask the driver to drop you down at the corner going to the Brgy. Hall. The fare is Php 20. 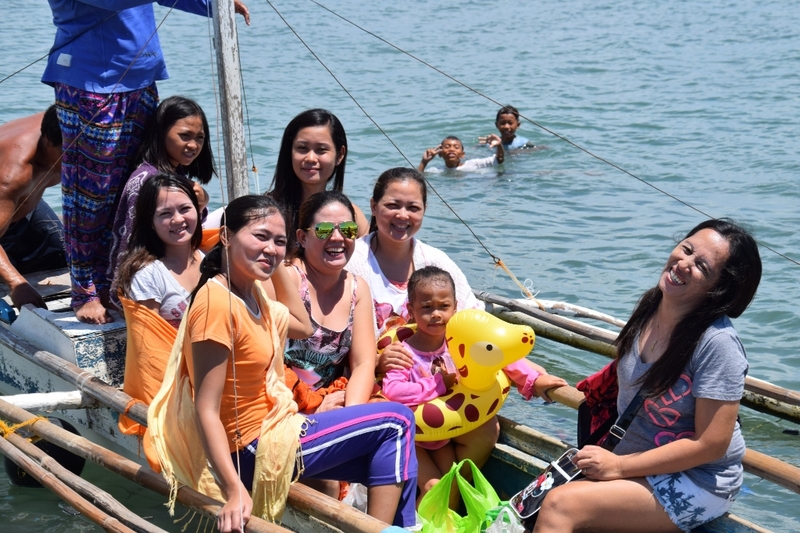 You can always ask help from the people there, they will surely help you.If you want a hassle free tour to Pandao Island, you can contact our boatman with his mobile number +63 9426376797. His name is Gerry Socajel. If you’re coming from Cebu City, the fast craft ride to Getafe is found at pier 1. Economy Php 200, TouristPhp 220, Business class Php 280. Daily schedule Cebu to Getafe is 6:00 am, 9:00 am, and 3:30 pm. Getafe to Cebu is 7:30 am, 10:30 am and 5:00 pm. The travel will usually last an hour, sometimes it is faster depending on the water conditions. M/V STAR CRAFTS Telephone numbers (032)5205212/ +639435847316. (Note: This should be checked if this fast craft is still operating. I heard that the trip from Cebu to Getafe is no longer available). 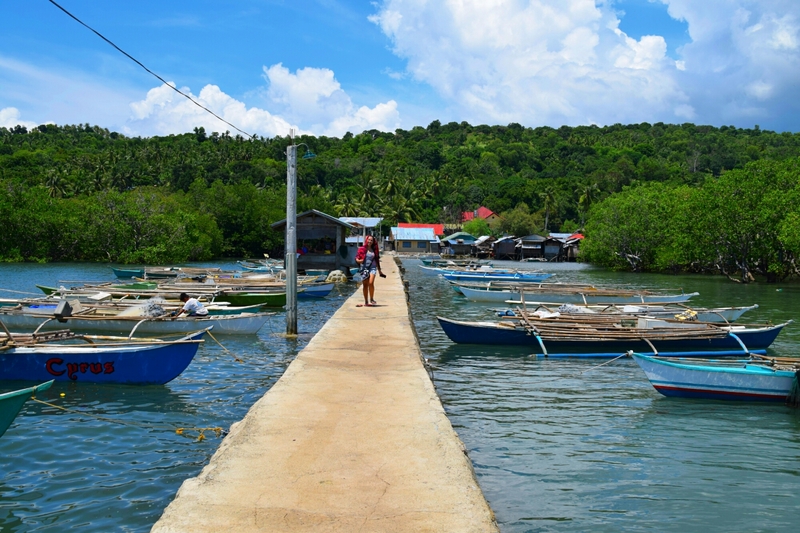 If you want a cheaper fare and thrilling ride going to Getafe, Bohol. You can also ride M/V Clemer Lines that can be found at Pier 1. A small boat that can carry up to 60 -80 passengers. The fare is Php 160. Daily Trip schedule from Cebu to Getafe 6:30 am, 7:30 am, 8:00 am, 9:00 am, 9:45 am, 11:00 am, 12:00 pm, 2:00 pm. The last trip from Getafe- Cebu is 12:00 pm. Note: The trip schedules will usually change from time to time. You can also reach Getafe from Tagbilaran City, you precisely have to ride a Van or Bus.Travel time is 3-4 hours. It can likewise be reached from Tubigon, Bohol to Getafe.Travel time is 1- 2 hours. Previous Post: Just a note to myself. Next Post: The reflection of children’s freedom has influenced me. They look to be the happiest women in the world! You stated it very right. They’re beautiful, right? You made me laugh though, of all the things you can notice, your attention was caught with those women. Thank you so much for the generous appreciation. For the T shirt? Hahaha. I didn’t noticed it at all. Great tips, sounds like my kind of place. Wow! Heaven on earth! So beautiful! This place looks just amazing! I think the last photo of the colors in the sky has to be a message from God smiling on you, and telling you, its all ok.
What a great post! I feel as if I had gone there myself. Just beautiful! Thanks for sharing. You’re right when you said it was secluded and unexplored – I couldn’t pinpoint it on Google Maps! If happen you’ll visit that Island, I’ll be happy to read your experience too. Wow, ill be happy to read your travel experience when you visit Pandao Island. Have a great day ahead! You said it right. Thank you so much for dropping by. It would be even more stunning if we could able to see the white sandbar, but anyway, the island is still beautiful. I’ll be happy reading your blog post about this island too. You said it right, I hope you can visit that island too. I agree with what you have said. God is watching me and everyone else. God bless you even more Nanny. Wow, thank you for dropping by and for taking time to read my post. I hope you had a great time reading it. God bless you and have a great day ahead. I once have checked it before we headed to this Island but I couldn’t find any blog post about Pandao Island. Thank you for taking time to read my blog. Have a great day ahead and safe travels. I am hoping we can get out to some exotic places sooner rather than later! Seems like a great place! Exactly, you’ll eventually love the soothing breeze of the ocean. Thanks for dropping by. Yeah, a great place to spend your day and just drench your body to the turquoise water. Have a great day ahead! Definitely my pleasure. I look forward to reading more of your blog. I am very envious of this particular trip. The sky, the water, the huts, the smiles… just overwhelmingly beautiful. What actually inspired your friend to chose Pandao? Did you find out? You did mention it was an unexpected suggestion. wwwwaaahhhhh!!!! i was in Bohol last month, 2nd weekend. Should I waited a little for this blog, sana napuntahan q din tong lugar na to 😦 anyway… this is definitely a reason to go back to Bohol! 🙂 Thanks for the post and great pix! wwwwaaahhhhh!!!! i was in Bohol last month, 2nd weekend. HadI waited a little for this blog, sana napuntahan q din tong lugar na to 😦 anyway… this is definitely a reason to go back to Bohol! 🙂 Thanks for the post and great pix! wwwwaaahhhhh!!!! i was in Bohol last month, 2nd weekend. Had I waited a little for this blog, sana napuntahan q din tong lugar na to 😦 anyway… this is definitely a reason to go back to Bohol! 🙂 Thanks for the post and great pix! By the way, thank you for your lovely remarks. Ahm, she actually wanted to have me see Pandao Island, since it is not known to everyone. And only few travelers and tourists who have set their foot on the said island. Since she’s aware that I’m blogging, eventually she wants me to blog it, and then hopefully it’ll be known to public. Wahaha what a great idea!! Sheer adventurous fun!! Thank you for dropping and beautiful comments. 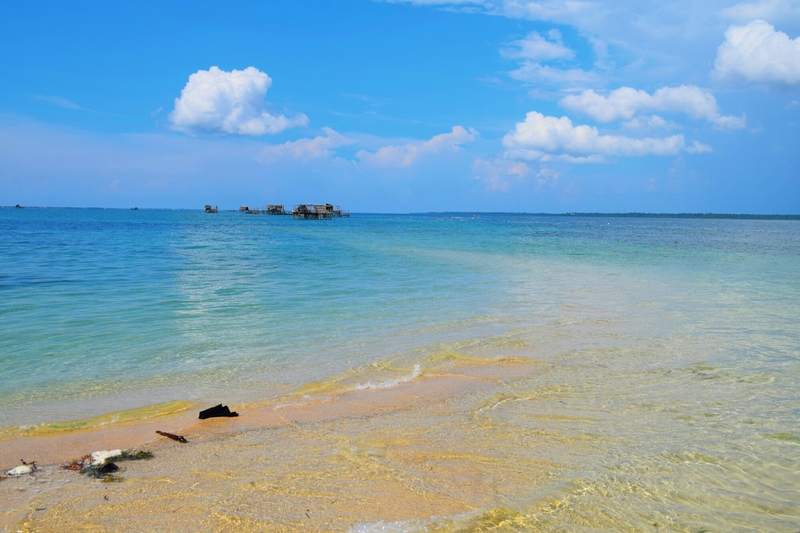 I would be really happy to read your blog about Pandao Island soon. I suggest, you truly have to see it yourself while it’s not yet crowded. Only few travelers and tourists who have set their foot on that Island. Eventually, your reason to go back to Bohol will be worth it. I heard there are also motor bancas to Getafe in Mactan, if I’m not mistaken. Anyway, thanks for sharing. I’m putting this in our list this summer.